The University of Arizona James E. Rogers College of Law has established the Honorable Judge Valdemar Cordova Scholarship, thanks to a $100,000 contribution from Los Abogados, Arizona’s Hispanic Bar Association. The Los Abogados gift honors alumnus Valdemar A. Cordova (’50), the first Mexican-American Superior Court judge in Maricopa County and the first Hispanic federal court judge in Arizona. The Cordova scholarship will be given to Arizona Law JD students who are active in and supportive of the Hispanic/Latino community. It is not limited to students of Hispanic/Latino descent. 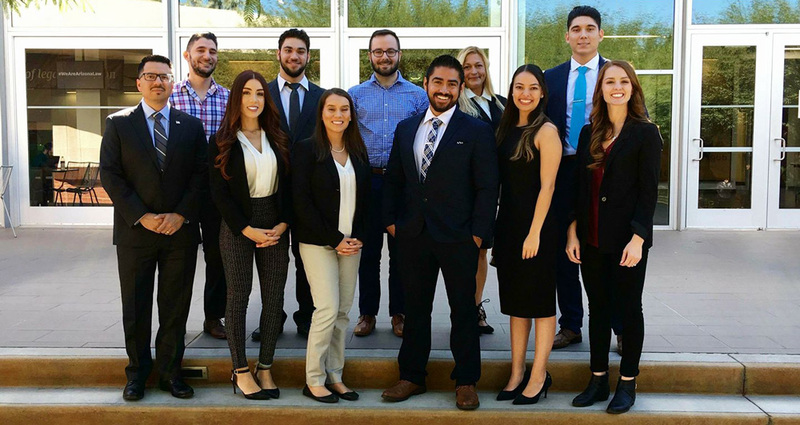 "Los Abogados is proud to support Arizona institutions committed to enhancing the quality and diversity of our profession," said Jason Barraza, immediate past president of Los Abogados and a 2006 Arizona Law graduate. "We're glad to be able to partner with the University of Arizona to advance that mission on campus and in the community." Cordova received both his undergraduate degree and JD from the University of Arizona. He was elected president of the law school student body in 1949 and graduated from Arizona Law in 1950. He later received an honorary doctor of laws degree from the college in 1986. Los Abogados is committed to pursuing diversity in the legal community, improving the quality and administration of legal services, encouraging education in the Latino community, supporting the just application of civil rights, and advocating for the Latino community. “Our membership has shown immeasurable support for our scholarship programs in the past and we hope that through this endowment, we will grow additional support from the community in providing assistance to new legal minds,” said Barraza. Kristian Garibay, president of the Latino Law Student Association at Arizona Law, says the support is crucial for student success. Los Abogados members include private and public attorneys, judges, businesspeople, paralegals and law students. Members practice throughout Arizona and presently serve as officers and directors of county, state, and federal bar associations.